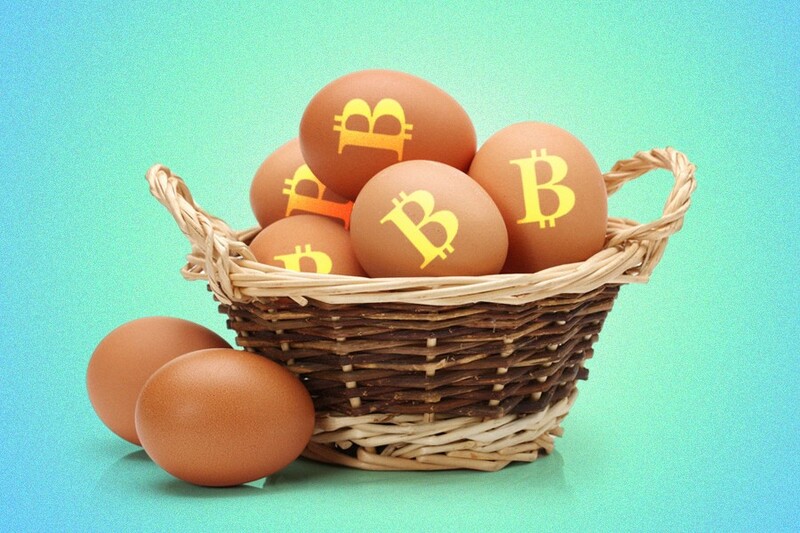 Should You Invest Your Retirement Savings in Bitcoin? The thought of someone putting their retirement savings into Bitcoin raises the hair on David Armstrong’s neck. Armstrong is president and cofounder of Monument Wealth Management in Alexandria, Virginia, and to say he’s skeptical of Bitcoin (and other cryptocurrencies) as a retirement vehicle would be a gross understatement. And yet, that’s exactly what thousands of Americans are doing now that Bitcoin, Ethereum and other cryptocurrencies have hit record highs in terms of value and mainstream popularity. More and more, people are looking at them as a lucrative component of a diversified portfolio, or in some cases, a singular alternative to traditional retirement savings vehicles. And move it has. Bitcoin exploded earlier this year, nearly tripling in price from March to June, and hitting a record high of more than $2,800 per coin on June 5, according to CoinDesk, a financial news site dedicated to cryptocurrencies. Ethereum, another cryptocurrency, saw its price spike from less than a dollar per ether last fall to $400 on June 13. Ethereum’s price has steadily declined since then—it’s at $268.28 as of this writing—but the profound price increases have piqued people’s interest in cryptocurrencies and given them some much-needed legitimacy. Google Trends data shows searches for Bitcoin and Ethereum are at all-time highs. BitcoinIRA has been more than willing to capitalize on that interest. The company launched in June 2016 and now has more than 1,000 clients, with an average investment of $45,000, according to Kline. The company works just like a traditional, direct investment plan in that customers select where their money is allocated (as opposed to paying a wealth manager to make the decision). But the money is going into potentially volatile digital currencies instead of established investment options like stocks, bonds and securities. BitcoinIRA is on track to take in at least $100 million in new investments this year alone, Kline adds. At a 10 to 15 percent service fee, that equates to at least $10 million in revenue for the young company. BitcoinIRA is also cashflow positive, which is virtually unheard of among most startups. But Bitcoin as a retirement investment strategy remains a niche interest. It’s telling that most of BitcoinIRA’s clients live in metropolitan American cities with robust tech industries. And for old-school investment professionals, Bitcoin is anathema. Armstrong is even more forceful in his critique, saying investing in Bitcoin is like putting all your retirement savings on black at the roulette table. “[Bitcoin] is just one of those things that seems very, very speculative, and anyone who does it has to realize that they could lose 100 percent of their money,” he says. Kline acknowledges Bitcoin is risky. “It’s something we tell all our clients,” he says. But he says it’s not any less secure than the traditional banking system, which proved to be a veritable house of cards during the 2008 financial crisis. And unlike traditional investment firms—which slow down the exchange of money, and then charge their customers fees for doing so—BitcoinIRA allows customers total control of their investments for a 1o to 15 percent upfront fee, he adds. There are no extra charges for executing transactions or liquidating their investments. Kline does not suggest that people put all their retirement savings in Bitcoin. Like almost all investment professionals, he advocates a diversified approach, with 5 to 25 percent going to Bitcoin. Staunch Bitcoin proponents tend to have a libertarian, anti-establishment streak, and Kline’s arguments for it are in that vein. Bitcoin, he says, is a viable alternative to a corrupt banking system that overcharges customers instead of acting in their best interests, and is in cahoots with the very regulators responsible for policing them. I asked members of r/Bitcoin, a Reddit forum for Bitcoin enthusiasts, what they thought of Bitcoin as a means to retirement. The answers I got were measured. Bitcoin proponents may have a reputation for being somewhat loony techno-libertarian types, but only a few of them advocate completely doing away with your Roth IRA and/or 401(k). Indeed, Bitcoin has minted many multimillionaires who were brave and fortunate enough to invest in the cryptocurrency when it was still considered a passing internet fad. But the market can crash in an instant—and there will be no government bailout if it does. And that lack of security means many Bitcoin believers aren’t arguing that it should replace traditional retirement savings methods.